According to the Moscow (Idaho) Police Department, three Idaho football players stole about $400 worth of clothes from the university store on Aug. 16. No charges were filed, however, because head coach Paul Petrino returned all the gear and no one remembers the players who stole the stuff. According to the report, after police watched the video, two UI football graduate assistants at the store were asked to contact their superiors to determine who would be responsible for identifying the alleged suspects. A short time later two Vandals coaches, offensive coordinator Kris Cinkovich and Bobby Daly, director of football operations, arrived and watched the video. Shortly after, the report said, Petrino arrived and spoke to McDonald in McDonald’s office. 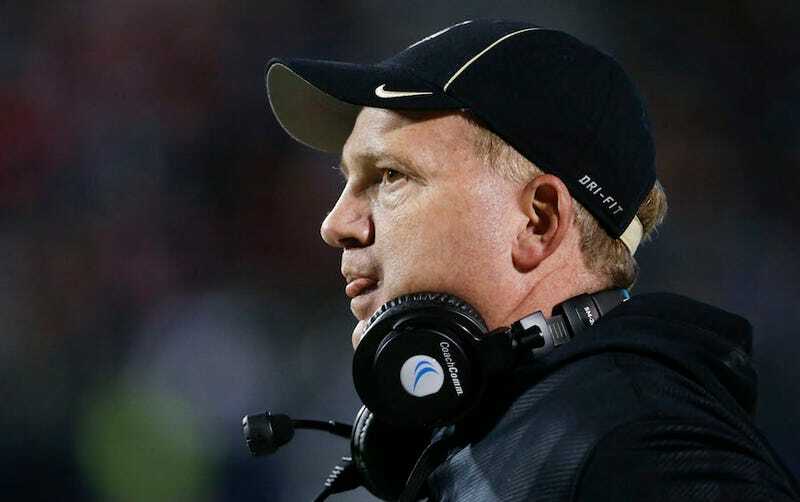 Following the conversation, Petrino left the store and an officer entered the office, where McDonald made the officer aware of a pile of clothing he said Petrino had brought back to the store. Petrino said the incident was handled and didn’t name the players when asked after Tuesday’s practice. Case closed! Now he can go back to yelling about gentle criticism of his passing game.